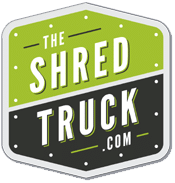 Do you offer on mobile on-site shredding? Mobile on-site shredding offers several benefits over off-site shredding. Your documents never leave your premises; they are collected and destroyed at your place of business in a matter of minutes. You never have to worry about the possibility of your documents being lost while in transit to a shredding facility. On-site shredding also allows you to witness the destruction of your information first hand. So, if you want the utmost in privacy protection, choose a shredding services provider who offers mobile on-site shredding. The shredding services market is flooded with national shredding companies. But they don’t offer the same reliability, security, and customer service of a locally-owned shredding provider. A locally-owned shredding provider is run and staffed by professionals invested in your community. As a result, you always receive courteous and prompt service. And since their local reputation is one of their biggest assets, your company benefits from quality service. Are you NAID AAA Certified? 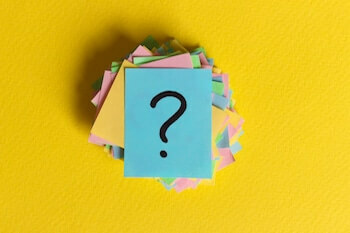 Before selecting a shredding services provider, make sure they’re NAID AAA Certified. How is my information destroyed? It’s important know exactly how your confidential information is destroyed. The collection and destruction of your documents should be handled by trained professionals who have undergone extensive background investigations and regular drug testing. Industrial-grade shredders should be used to destroy your documents and data. At the end of your shredding project, a Certificate of Destruction should be issued so your company can prove its compliance with state and federal privacy laws. What are your service options? Your business has unique information destruction requirements. As a result, your shredding services provider should be able to meet those needs rather than forcing you into a restrictive service schedule. Whether you need recurring or one-time shredding, make sure your provider offers a shredding service plan customized to the needs of your business. For more tips on selecting a shredding services provider, please call us at 314-729-9200 or complete the form on this page. The Shred Truck provides NAID AAA Certified, mobile, on-site paper shredding and hard drive destruction services in and around St. Louis, Missouri.